The Alp Fitness mission is to provide smart training tools, educational resources and coaching to help you achieve success in your triathlon, running or mountain-oriented endurance adventures. The Alp Fitness vision is based on the belief that the ultimate reward of training is the continual process of self-discovery and personal growth that arises out of athletic challenges. Alp Fitness is committed to helping you gain knowledge and cultivate enduring roots in an active, fitness-oriented lifestyle that fosters health and personal growth. Inspired by a love for the mountains and our natural playground called the outdoors, Alp Fitness recognizes that climate change is a serious threat to the trails, waterways and air we depend upon to live healthy and fulfilling lives. Alp Fitness contributes at least one percent of annual sales to non-profit environmental organizations. 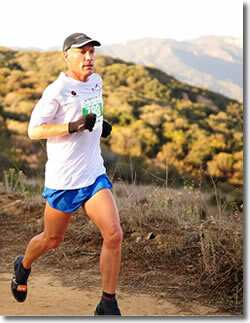 I have been drawn to an active lifestyle since I began running at age 10 and competing in triathlons at age 16. Although I spent a few decades racing seriously, the allure of endurance sports for me has always been about more than the competition. For me, endurance sports provide a way to explore the beauty of our world and learn about ourselves in the process. There’s nothing I enjoy more than heading off the beaten path to explore the trails, and you will often find me somewhere in the world doing just that. The purpose of this website is to educate, inspire and help you achieve great things in both your athletic pursuits and life. The articles and videos on the site, along with the books published by Alp Multisport Publications, are primarily aimed at runners and triathletes—a focus that reflects my own background and interests. I hope to share with you some of the things I have learned—and continue to learn—while embarked upon the multisport journey. As you pursue your own personal adventures, I encourage you to recognize that the journey is as much the reward as is the destination. Along the way, be sure to train smart!